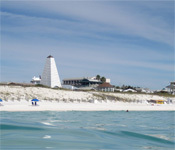 Overlooking the Gulf of Mexico in the heart of Seaside, Florida, Bud & Alley’s has been a popular gathering place since 1987 for good food, good people, good times. 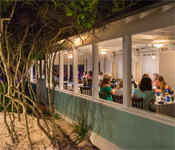 A pioneer of the fish- and farm-to-table food movement, the award-winning menu features Gulf coast classics paired with Southern-style cuisine. 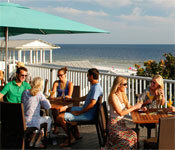 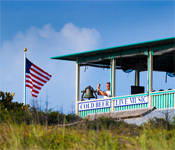 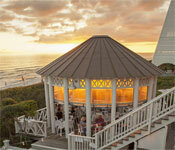 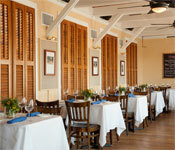 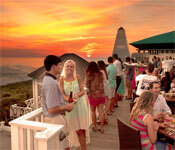 The sunset celebrations on the rooftop bar overlooking the Gulf have been a hallmark traditions for nearly 30 years. 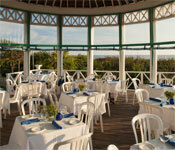 Lunch and dinner are served daily in gracious indoor and outdoor dining areas and on the roof terrace overlooking the Gulf. 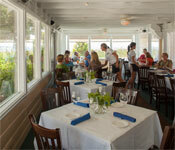 Join us to taste just why we are a Top Florida restaurant and a Florida Trend magazine Golden Spoon Hall of Fame award winner.